Located on the plains of western Romania, the city of Timisoara was the capital of the historical region of Banat. Annexed by the Austrian Empire in 1718, the region became a Kronland (autonomous region of the Crown) that cultivated respect for territorial as opposed to national autonomy and local patriotism against the centralism of Vienna. The political agreement reached between Austria and Hungary in 1867 and the creation of the double-headed monarchy implied a major shift in the history of Banat: the region went from being administered by the Austrian Empire to depending on Hungarian administration. Transformed into a metropolis, Timisoara nonetheless maintained its status as a free royal city, which provided it with internal autonomy. Following the defortification of the city in the late 19th century, studies were produced to implement an urban planning project that would unify all the citys inhabited areas. The overall concept of this urban planning project was entrusted to the Budapest architect Lajos Ybl, who had studied architecture in Vienna and Stuttgart and was familiar with the urban solutions of the great cities of the time. The particular circumstances of Timisoara, with its major similarities to other cities that had maintained their walls for a long time, meant that the model planned in Vienna seemed the most appropriate, with a circular boulevard that ran along the route of its old walls. The main quality of this plan was its geometric and functional precision. Ultimately, the plan by the architect Ybl was excessively simplified and was pragmatically adapted to urban development, which was in full swing immediately after the demolition of the city walls and the parcelling of a considerable amount of uninhabited areas located in the immediate vicinity of the old city centre. Construction in Timisoara followed the trend at the time, the fin de siècle style. The Secessionist school of Banat was influenced by both Austrian, specifically Viennese ¬explained by the tastes of most of the German origin owners, especially in Timisoara and Hungarian styles, resulting from the direct participation of some architects from Budapest on various representative buildings. This style underwent two different stages: the first occurred approximately between 1900 and 1908 and was similar to Art Nouveau, with floral and curvilinear decorations, while the second was between 1909 and 1914 and characterised by a simplification and geometrisation of forms, with solid volumes and decoration reduced to the maximum, similar to Viennese architecture at the time. The most spectacular architectural complex in Timisoara was built between 1910 and 1912 in the open area created in front of the National Theatre (Victory Square), where some outstanding buildings were constructed. 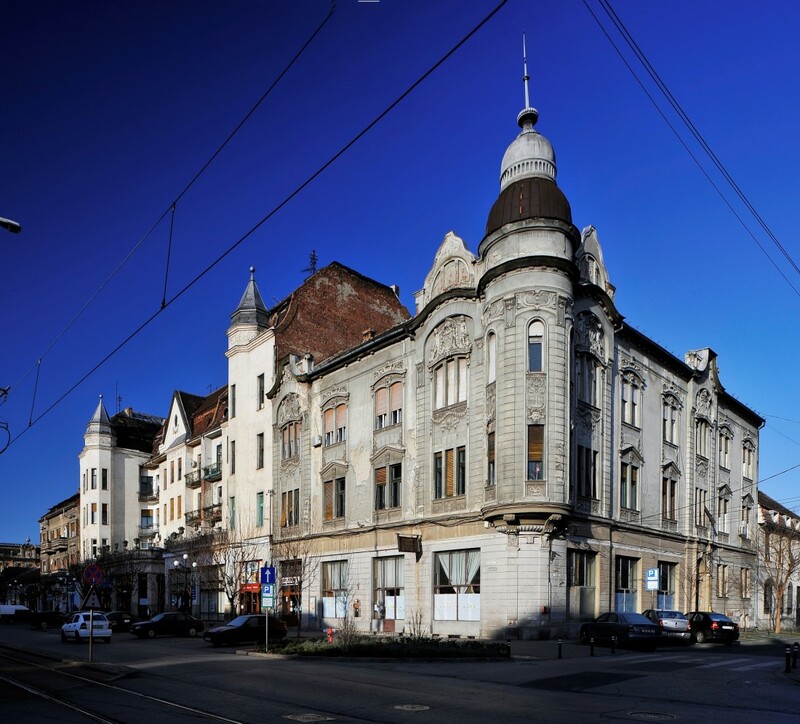 The first, built for the Lloyd company, was designed by the Budapest architect Lipót Baumhorn. A corner building with a ground floor and three upper levels fulfilling various functions (cafeteria and shops on the ground floor, agricultural stock exchange and the companys plenary hall on the first floor and rental apartments on the remaining floors), the Lloyd Palace is characterised inside by the skilful distribution of its multipurpose spaces and outside by the stunning clarity of its three façades, with their playful balance of projections and recesses. 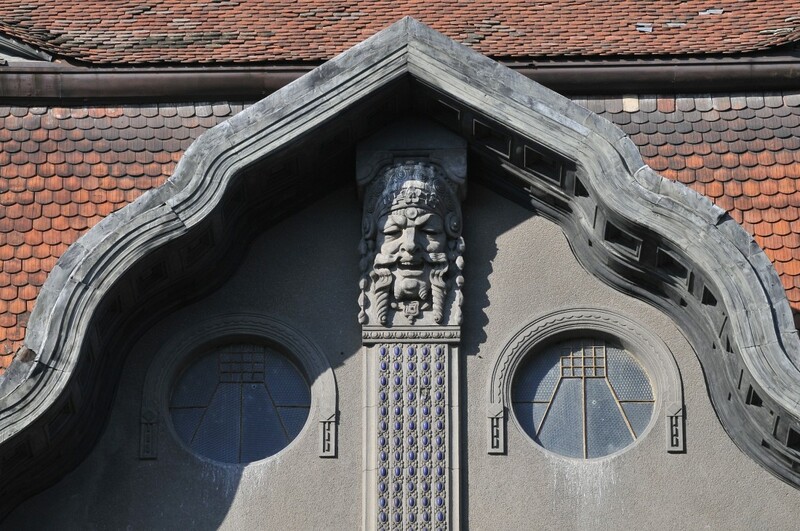 But it was the Timisoara architect László Székely who left his own Art Nouveau mark on the city. Although he had been trained in Budapest, he was a great admirer of Austrian architecture, especially that of Vienna, and in 1903 he was appointed chief architect of the city, converting him into one of the most active and prolific local architects in the first half of the 20th century. His style, which took shape over the years in Timisoara and surrounding areas, harmoniously combined functional aspects with decorative elements. Székely was a key contributor to the stylistic configuration of the architectural complex designed for the area in front of the National Theatre, for which he designed most of the buildings by combining residential dwellings with public space areas on the ground floors. 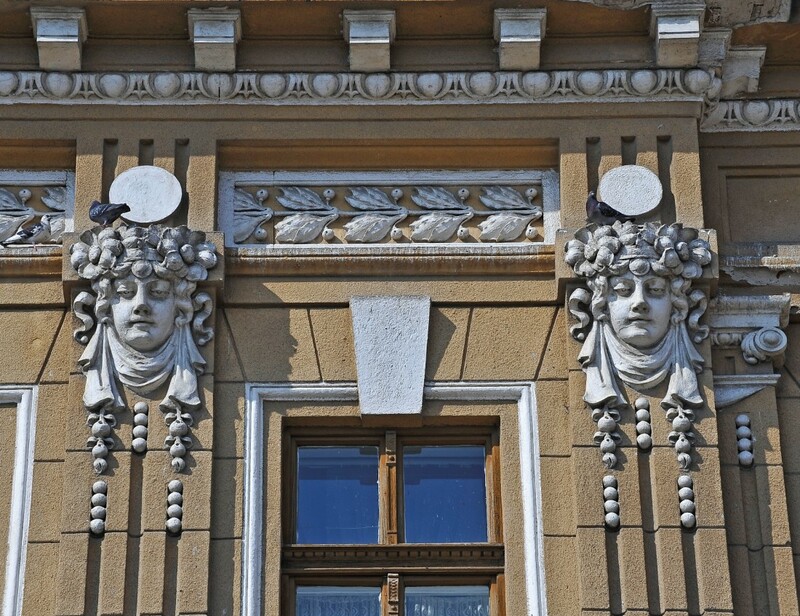 Thus, Neuhausz Palace, set against other buildings and in the immediate vicinity of Lloyd Palace, is characterised by a façade that respects symmetry based on a central axis. The architect aimed to create a sculptural mass through the use of recessed balconies on each floor. The undulating, overhanging cornice that crowns the large residential complex of Dauerbach Palace (1911-1912) became a defining visual feature of the façades designed by Székely. The Victory Square complex is completed by Dauerbach Palace, a sober construction with outstanding ornamental refinement expressed in its remarkable dark grey moulding and glazed cobalt blue tile decoration, and Hilt Palace, next to Széchényi Palace, with its stunning façades and tower, which has become a point of reference in the urban landscape. As in other centres of the Austro-Hungarian Monarchy, Timisoara alternated during the early part of the 20th century between copying a model in this case that of Vienna, the metropolis that dazzled over various regions because of its urban and architectural development and local pride, encouraged by favourable economic and social development, cultural boom and confidence in progress. This combination of trends resulted in the creation of a modern city that followed the most advanced urban development principles and adopted a peripheral aesthetic that directly reproduced the example of the model of the capital, adapting and expanding it according to local cultural traditions.